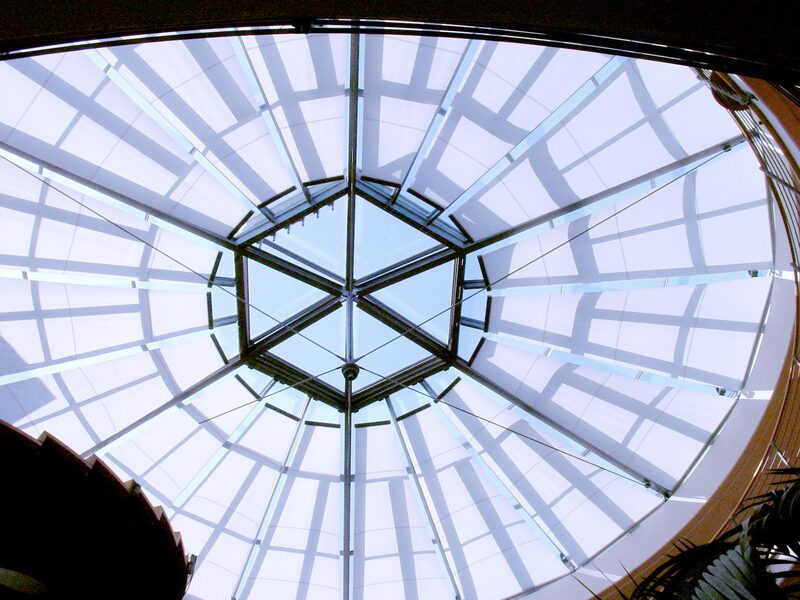 With creative experimentation and precise engineering, almost any structure can be shaded, whatever the shape or size. 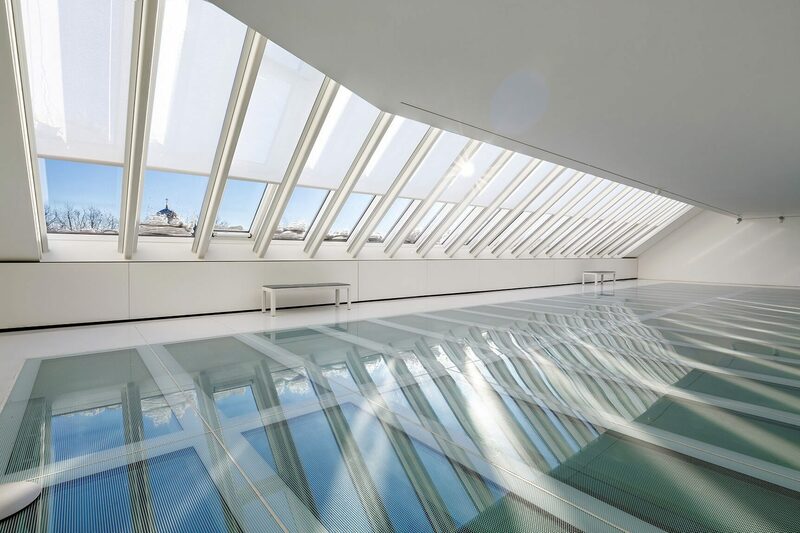 This includes glazing which is rectangular, curved, trapezoidal or triangular. 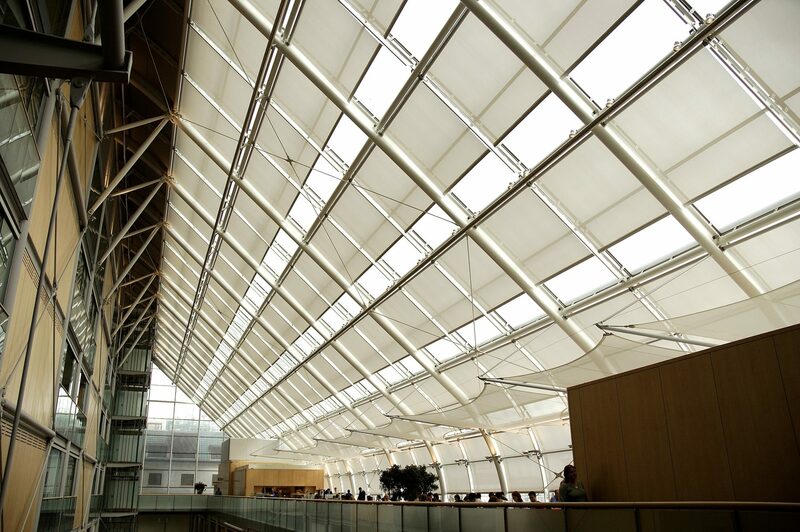 To maximise the style and identity of a building, unconventionally shaped windows require specially designed blinds. Our shaped blinds can be applied with accuracy and discretion, which preserves, pronounces and complements some of your buildings most unique features. 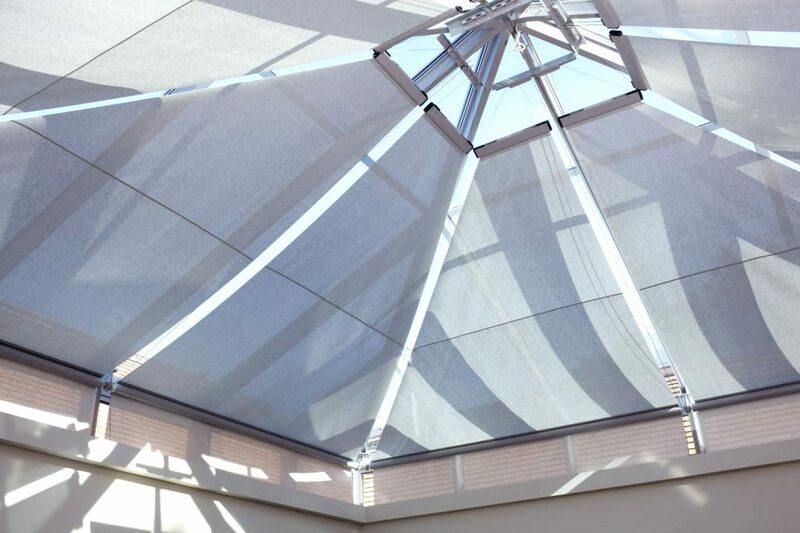 Guthrie Douglas design and manufacture a wide variety of high quality trapezoidal blinds for multiple commercial applications. Our blinds provide superior sun protection, such as temperature and light control. Guthrie Douglas manufacture and install an extensive range of high quality rectangular blinds for multiple commercial applications. Our blinds deliver superior sun protection, such as temperature and light control. Guthrie Douglas design and manufacture a wide variety of high quality triangular blinds for multiple commercial applications. Our blinds provide superior sun protection, such as temperature and light control. 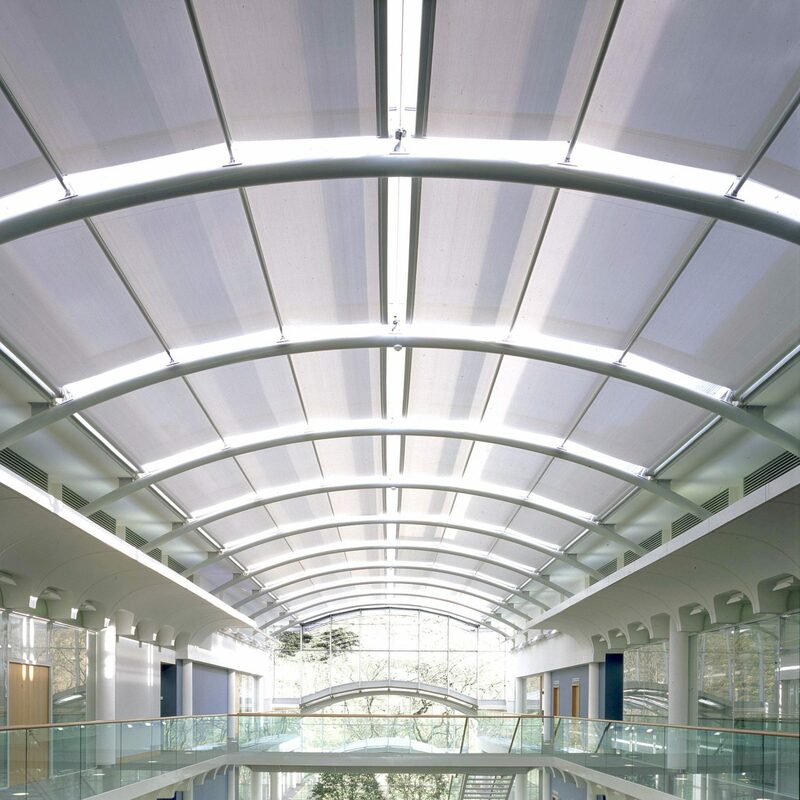 Guthrie Douglas manufacture a wide range of high quality curved blinds for multiple commercial applications. Our blinds provide superior sun protection, such as light and temperature control.